February 20, 2014 February 20, 2014 - 4 Comments. 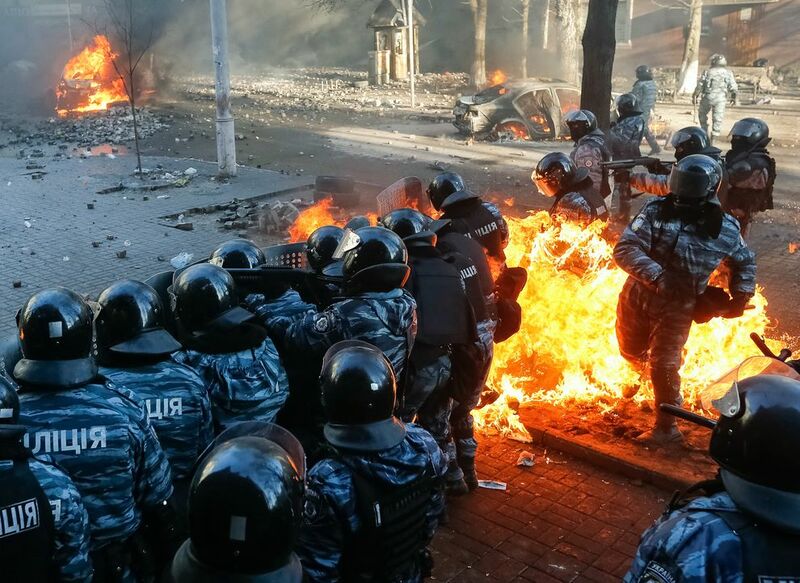 KIEV, Ukraine (Associated Press) — Fearing that a call for a truce was a ruse, protesters tossed firebombs and advanced upon police lines Thursday in Ukraine’s embattled capital. Government snipers shot back and the almost-medieval melee that ensued left at least 70 people dead and hundreds injured. A group of protesters get scorched during clashes with police on Thursday, after a brief truce with the country’s embattled leader. I do not belittle the protesters, however what is going on is part of a much bigger world picture. The reply which follows is a reply I sent to JP Today about the ongoing murders in Nigeria, I mention the link to Ukraine…. Ebbs and flows in a long war. Africa’s most populace and one of the leading economies of the continent, struggles with terrorists who would split it into at least two states. Throughout Africa echo’s of this can be seen, an ongoing implosion. The same forces are busy imploding the middle east. Oil rich Venezuela is being rocked by the prospering classes at the expense of the poor. Russia’s border is about to become that little bit more exposed. Nations in the BRICS block and those of material or strategic importance are facing the rigors as the West struggles to maintain it’s lead in a rapidly changing world, where it is losing it’s position. Even the exploitation of shale gas is not enough to change the game, the west must put boots on the ground to protect vital resources which it sees as it’s interests, after the forces of a long dirty war precipitate the upheaval. These reasons and more, not the cloak of religion, are why we are not about to see peace in Nigeria and throughout Africa anytime soon, the same goes for other vital parts of the globe.